Activision Blizzard’s earnings call took place last night and there’s a lot to digest directly relating to their direction with mobile gaming and of course Diablo Immortal. Below are transcripts of the sections from the call that directly relate to Blizzard’s mobile plans and of course Diablo Immortal. Some of the responses are what you would pretty much expect in a financial call but there’s plenty of exaggerated statements regarding the response to the game’s reveal. For example, the “fan reaction was muted” but still think it will be well received and players “around the world will love it”. He also thinks it’s a “very significant opportunity. Mobile is the biggest platform in gaming today”. The final statement below comes from J. Allen Brack who is convinced Diablo Immortal can provide “a very authentic Diablo experience”. On our third growth driver, the expansion of our franchises onto mobile, we know that many of the most successful mobile games today are based on intellectual property originally created for consoles and PCs. As an example, we’ve seen this ourselves with Hearthstone, where the fan base grew significantly when we added the mobile platform to a game that isn’t even yet fully optimized for mobile success. Mobile remains the largest and fastest growing platform for gaming in the world. And while King is a clear leader in mobile, we’re still investing in Activision and Blizzard franchises for mobile releases. For example, Activision is collaborating with Tencent on Call of Duty Mobile, taking the biggest action franchise of the last two decades to the largest gaming market in the world, and of course also to western audiences where, as Bobby pointed out, Call of Duty is already one of the most successful entertainment franchises in history. And last week, Blizzard announced Diablo Immortal, which will bring this tenfold franchise to a mobile audience in both the east and the west. While fan reaction was muted to the announcement, players’ hands-on experience this content confirmed what we believe, which is that Diablo mobile will be a very well received game when it releases, and players around the world will love it. 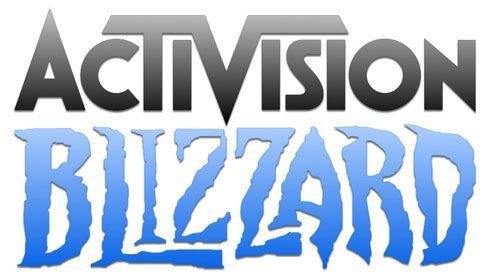 These are just two of the many mobile initiatives underway across Activision and Blizzard. And King mobile expertise is now being shared throughout the company so our beloved PC and console franchises can expand their reach. BlizzCon, which is the ultimate celebration of Blizzard community engagement, drew millions of viewers around the world by live stream and over 40,000 fans in person. In addition to the reveal of new content for every franchise, we announced the expansion of the Diablo franchise onto mobile with Diablo Immortal, codeveloped with NetEase. Diablo Immortal was built from the ground up for mobile as an authentic Diablo experience that will make the franchise available to hundreds of millions of people around the globe. We’re confident when the game launches, it will be a great experience for new players as well as the extremely loyal and vocal Diablo community. We know how eager that community is to experience even more from Diablo. When the time is right, the team will share more about what else they have in store. Great, thank you. I guess I’d like to focus a little bit on the leadership transition of Blizzard, and if you could put a finer point on what we should expect to see change and what should stay the same. And also related to that, if you could provide a little more color on the pipeline from Blizzard. Thank you. Hi, this is J. I’d like to just start off by saying that Blizzard is a hugely storied studio, and I couldn’t be more honored to take on the role. I have been at Blizzard for more than a decade, but have really been a fan of their games my entire life. Today, I have a strong view on many of our franchises, and I’m actively working to get a broader outlook on certain teams, certain commercial groups, esports operations that I don’t already have a good view of from my previous job. Coming out of that process, I feel like I’ll have a larger perspective on what the next chapter for Blizzard’s growth is going to look like. We’re going to need to continue to invest in content in our existing franchises, and there’s work to do to improve in some areas to better serve our communities and to create more content for all of our fans. That’s our number one focus. And we’ll continue to invest in the reach of the different franchises that we have to acquire more players globally across all platforms, including PC, console, and mobile. Right now, we have the strongest multiyear pipeline we’ve ever had, which is a huge opportunity, and delivering against that pipeline is our number one priority. I think Blizzard’s focus is always going to be on delivering quality game play first. And we have a strong culture of values, and we want to create more content and deliver more games. And we think that’s going to lead to more players, more engagement, and it’s going to lead to great business results. Thank you for taking my question. Just on Diablo Immortal, can you give us a little more color on Diablo Immortal, and how we should think about the timing of that? Hi, this is J. So we’ve seen some interesting reaction to the announcement. I think that it’s clear that there are a lot of players who are eager for more Diablo PC and console content. I think that came through loud and clear from BlizzCon. And frankly, we feel fortunate to have a community that cares so much about that franchise. The commitment and the engagement of our community is, I think, one of the things that makes Blizzard very special. It’s something that we really appreciate, and we like to hear the things that they articulate as to what they want to hear next and what we can do better, frankly. Diablo is an important tent-pole franchise for Blizzard Entertainment, and we have – one of the things we said is we have multiple teams working on multiple different projects for the Diablo community. We feel that Diablo Immortal is going to deliver a very authentic Diablo experience, and we’re not going to compromise on that mission. Launching the game is only going to be the beginning. There’s going to be ongoing support, and we’re only going to release the game when we feel like it is meeting the community’s very high standards. In the end, Diablo Immortal is going to fulfill that, and we think that people are going to experience it, and we think that they’re going to love it. Regarding I think the opportunity for Diablo and specifically on mobile, I think it is a very significant opportunity. Mobile is the biggest platform in gaming today. And taking a game like mobile onto that platform in a way that is really reflecting our quality standards I think can really open a lot of – it can open that franchise and other franchises to a global audience, including people who don’t have PCs, or especially in China where Blizzard is a very, very strong western brand. Regarding the timing, that’s something that we’ll talk about as we go forward. It is very important that we release the game and it is an excellent, excellent experience when it is released. One other thing to add, Brian, is when we got the feedback from people who actually had the chance on a hands-on basis to play the game, it was really positive. If you want to dive into the full transctipt, check it out on SeekingAlpha. An awesome example of corporate vomit. The point is to highlight how they see things at the top. The rest has already been covered in previous posts. As an accountant at a large corporate, it’s not necessarily “how they see it at the top”, it’s how it’s messaged to shareholders which is almost always spun as positively as possible. Rushster, before you’re out, a thank you from me as ll for your contributions to this site over the years.